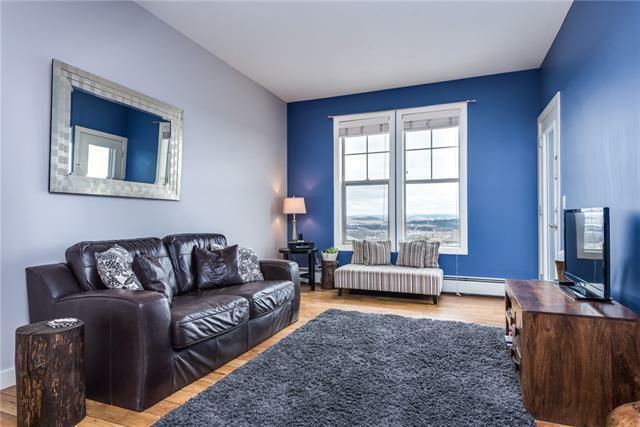 PANORAMIC VIEWS, 2 TITLED PARKING, TOP FLOOR UNIT IN THE PEACEFUL COMMUNITY OF SUNSET RIDGE! 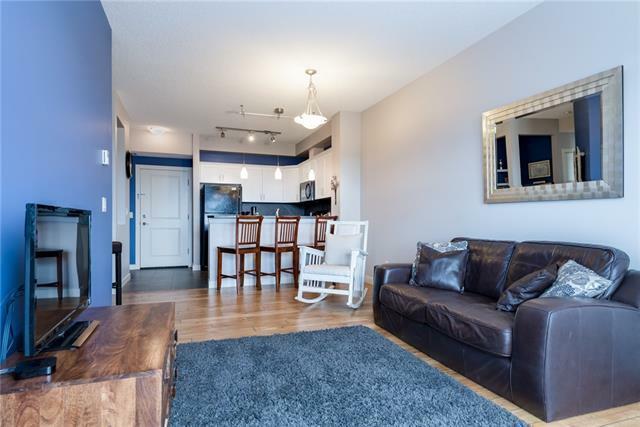 This 2 bed, 2 bath unit has a home office nook, insuite laundry, 9' ceilings & all the amenities one needs to live a stress free, low maintenance lifestyle. The ease of entertaining your family and friends either inside or out on your private deck overlooking the incredible views is perfect in the open concept living/dining area & the well equipped kitchen. A state of the art fitness centre & 2 guest suites add so much value to this well run complex. 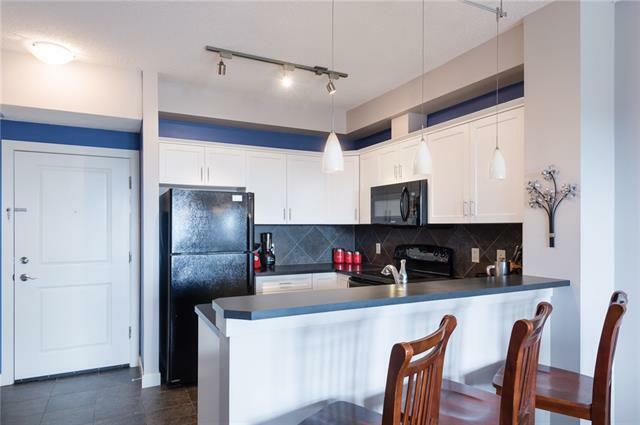 Just minutes to Calgary, the community of Cochrane is an oasis with all the amenities you could possibly need. Close to great schools, shopping, golf courses, parks & so much more this lovely home is move in ready. Need storage?... 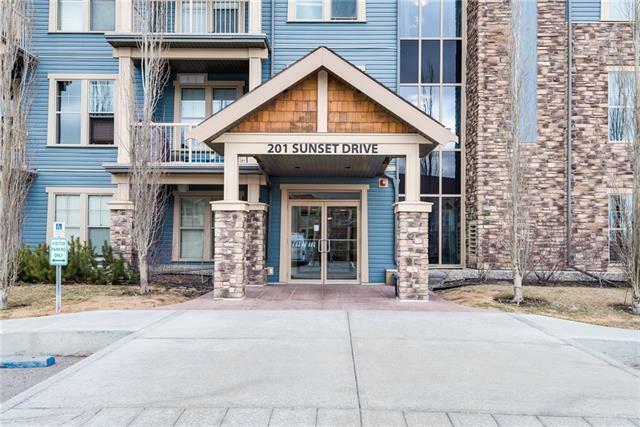 this unit has a large insuite storage room & storage in front of your indoor heated parking stall. Imagine BBQing on the deck with the convenience of the gas hook-up while watching the gorgeous sunset. Come on over to view! Listing provided courtesy of Century 21 Powerrealty.Ca. © 2019 CREB®. All Rights Reserved.